Ever thought of giving up on yourself? Ever been faced with moments that make it look like God is so far from you? He is still God no matter the condition and He is much concerned about you. Psalm 147:5 – Great is our Lord and mighty in power; His understanding has no limit. IMMORTAL (God All by Yourself) is a song birthed to re-ignite a Conciousness of God’s Almightiness as the ruler over all and can do anything, yes, ANYTHING! He was NOT voted into power, neither can He be voted out. Enjoy the beauty of His presence and his Fatherly love with this brand new single. Passionate about spreading the gospel of Jesus Christ through songs, she returns with a musical video and audio solely in honor God Almighty. 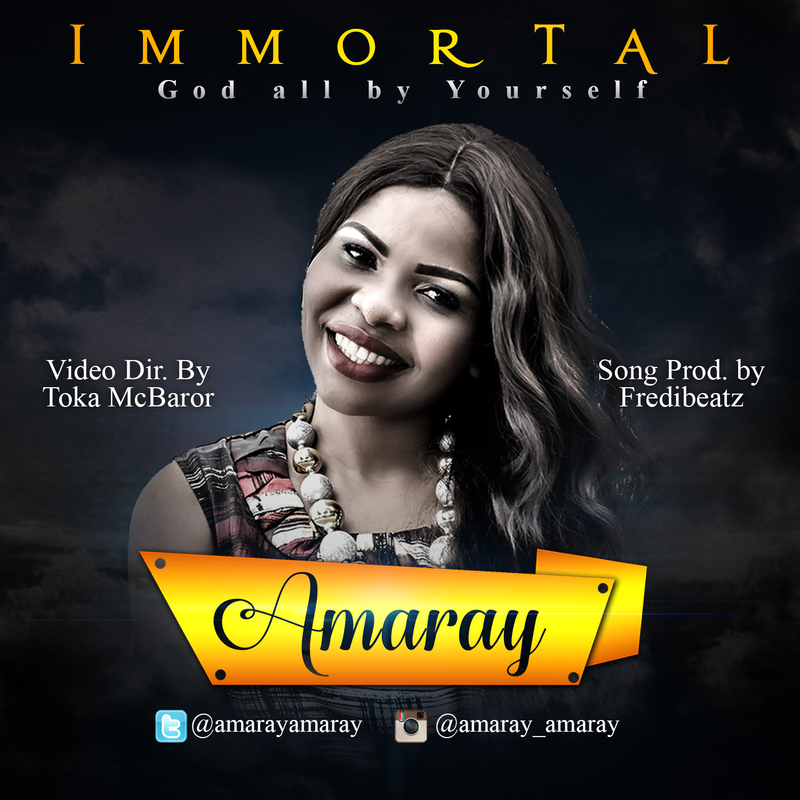 The song is titled “IMMORTAL-God all by Yourself” Video Dircted by Toka McBaror, track produced by Fredibeatz. Amaray is a Dynamic Worshipper, recording/performing Artiste, Music Director, Evangelist, Presenter, Writer and Award winning Musical Concert Clinician. She has Performed on stage with Reknowned Local and International Artistes such as Lenny Leblanc, Viki Vilakazi, Da Truth, Panam Percy Paul, Asu Ekiye, Sammy Okposo, Frank Edwards and other Great Music Ministers.